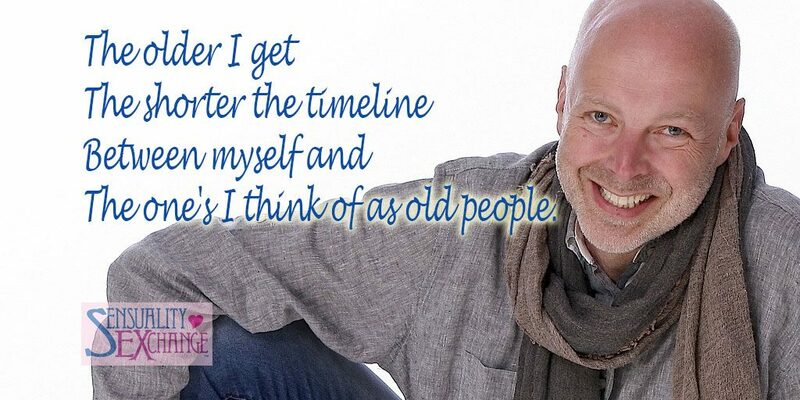 I had never though of myself as older. The older I get The shorter the timeline between myself and the one’s I think of as old people, and greater the distance to the young. Part of your life you want to be older to get all those benefits of older people. At some point of time you didn’t see a benefit of getting older and don’t think of aging. For a period of time getting older never really occurs to you, never thinking of yourself as old, only others being young. All of a sudden there is a point when you don’t feel old, but you can’t deny being this age is old. Sure you plan on having a full life much longer and don’t plan on finishing the journey for quite some time. Aging timeline yes, yet, we still must take pause and realize that there is more life behind us than ahead. That is why they called it a midlife crisis all those years ago. We need to continue making the most of our life and making sure we make everything of today we can. Never stop doing your most to enjoy life and make living better for those around you. No matter where we are on life’s journey there is no time like the present to treasure the company of others and the joy of touch. There will never be a better time to explore intimacy and treasure of companionship.